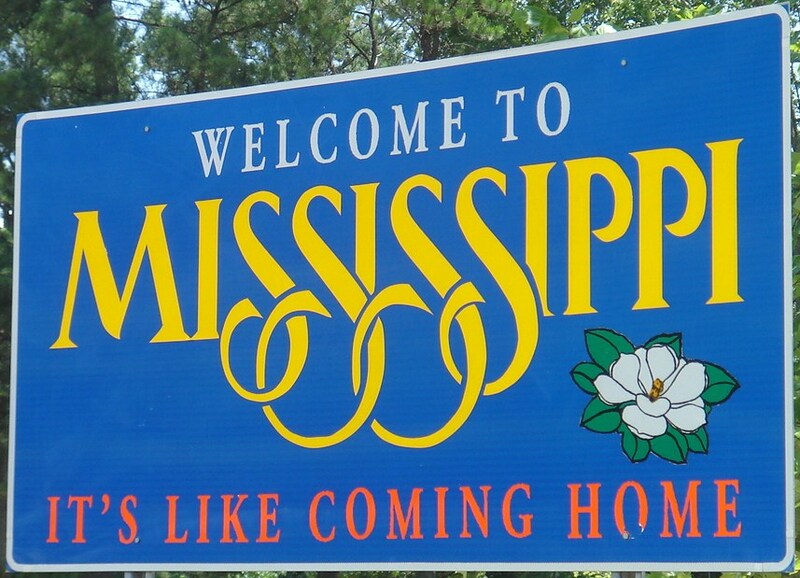 Mandatory Pro Bono in Mississippi? The Rules Committee of the Mississippi Supreme Court is currently considering the adoption of a rule requiring lawyers to complete 20 pro bono hours annually or in lieu of that service contribute $500 to the state bar for legal services programs. According to Justice Jess Dickinson, “the overriding objective is to make sure every Mississippian, regardless of economic status, has reasonable access to justice and that no one is excluded because he or she doesn’t have money to hire attorney.” Recent research, commissioned by the state’s Supreme Court, found that thousands of Mississipians, like their low-income counterparts across the country, are prevented from accessing civil legal assistance because they cannot afford to hire an attorney. an unprecedented and unjustifiable unilateral extension of the authority of the court. . . . [o]ther than perhaps the priesthood, I am unaware of any profession which requires its members, as a condition of their right to practice their craft, to contribute a portion of their income to charity. I understand the argument, doubtlessly voiced by many of my colleagues, that no one should be required to provide what is, in essence, community service. Fundamentally, I agree. But the fact is that attorneys are different. That distinction exists as both an honor, and sometimes, a burden. But under either instance, it is a badge that each member of the Bar should wear proudly. Another supporter of the mandatory pro bono requirement, lawyer and member of the North Mississippi Rural Legal Services Board of Directors J. Lane Greenlee of Winona, believes that for at least the initial five years of the rule the requirement should be reduced to 10 hours/year. I understand those who do not like to be told what to do, but I also am very aware of the need that exists, said Greenlee. The blogosphere has been abuzz during the last week with commentary surrounding the proposed rule: WSJ Blog (is the requirement legal? ), Simple Justice (even mandatory pro bono not going to solve the need for civil legal services), Professor Richard Epstein’s take, and Build a Solo Practice (revisits issue of Illinois’s adoption last year of mandatory pro bono reporting). Andrew Ardinger was one of many law school Class-of-2009 grads whose career path took an interesting turn when the law firm he was bound for – in his case, Orrick – deferred his start date. Ardinger made great use of his time, spending the past 12 months with the Public Interest Law Project in Oakland. Periodically during this past year, Ardinger contributed short update pieces to the American Lawyer, offering a check-in about his public-service experience. As he is preparing to return to BigLaw world, Ardinger penned a final piece looking back upon his time with PILP. Now that I’m in the waning days of this fellowship, and I start to reflect on it, I keep coming back to the same thought: It’s been a great experience for me on a number of levels. On a professional development level…this experience has been outstanding. As I have noted before, there are only six attorneys in the office, and one legal assistant. It was a very warm, genial work environment, and the two attorneys with whom I worked most closely were, from the first day, obviously committed to mentoring me and helping me develop as an attorney. The main reason is this: the concern ultimately has to be for the clients. Nonprofit law offices were hit hard by the recession. This caused tremendous difficulties for the staff, and for law students who were seeking to begin their career in this arena (we’ll get back to this in a moment). But it’s the low- and middle-income client communities that were hit hardest. And the reduced service capacity which the recession caused in many public interest shops meant that fewer clients could be served even as their numbers were increasing. Deferred associates were able to shore up – and in some cases, expand – service capacity. That’ s huge, and it came at a critical moment. Also, the public interest community benefits by forging strong relationships with the private bar. Quite aside from pro bono work, money flows from the private bar to the public interest bar. And in myriad other ways, law firms leverage their resources to support public interest work. So if dozens, or maybe even hundreds, of today’s deferred associates have positive experiences during their public service placements, they may become tomorrow’s pro bono advocates, board members, and financial supporters. That’s a win-win. But there is “on the other hand,” too. PSLawNet’s mission is to support public-service minded law students and attorneys in achieving their professionals goals. And it has been undoubtedly frustrating for many students and grads who want to commit their careers to public interest work to see the desks at public interest offices temporarily occupied by deferred associates who were there until business picked up at the firm. To boot, many of the associates were living on firm-provided stipends which comfortably outpaced public interest salaries. It is very difficult to measure how much of a “displacement effect” was caused by the deferred associate phenomenon, because frankly very few public interest organizations were in strong enough financial positions to hire new attorneys anyway (at least back in the throes of the recession). Nevertheless, it was a daunting obstacle for those students who wanted to earn to a low salary in order to fight for those on society’s margins. We suspect that as the legal economy emerges from the recession, it’ll make something of a return to the pre-recession “normal.” Law firms will adjust staffing models to match business needs. Public interest funding will stabilize gradually. Now, there is discussion these days about whether a longer-term service model might emerge from the deferral model – something akin to the “loaned associate” programs that presently exist between law firms and public interest organizations. Nevertheless, the prospects of those on public interest career paths feeling crowded out by their law-firm bound peers are diminishing. Attorney General Eric Holder penned an op-ed in yesterday’s Washington Post, urging the Senate to avoid stalling on votes for nominees to the federal bench. He recounts the story of a 6th Circuit Court of Appeals nominee whose Senate vote was held up for nearly 300 days despite her having the support of both home-state senators and the Senate Juciciary Committee. When the vote finally did take place, the nomination breezed through. Today, 23 judicial nominees — honest and qualified men and women eager to serve the cause of justice — are enduring long delays while awaiting up-or-down votes, even though 16 of them received unanimous bipartisan approval in the Judiciary Committee. The confirmation process is so twisted in knots that we are losing ground — there are more vacancies today than when President Obama took office. The men and women whose confirmations have been delayed have received high marks from the nonpartisan American Bar Association, have the support of their home-state senators (including Republicans), and have received little or no opposition in committee. Last year, 259,000 civil cases and 75,000 criminal cases were filed in the federal courts, enough to tax the abilities of the judiciary even when it is fully staffed. But today there are 103 judicial vacancies — nearly one in eight seats on the bench. Men and women who need their day in court must stand in longer and longer lines. The problem is about to get worse. Because of projected retirements and other demographic changes, the number of annual new vacancies in the next decade will be 33 percent greater than in the past three decades. If the historic pace of Senate confirmations continues, one third of the federal judiciary will be vacant by 2020. If we stay on the pace that the Senate has set in the past two years — the slowest pace of confirmations in history — fully half the federal judiciary will be vacant by 2020. Prosecutor Misconduct at the DOJ . . .
With help from legal experts and former prosecutors, USA TODAY spent six months examining federal prosecutors’ work, reviewing legal databases, department records and tens of thousands of pages of court filings. Although the true extent of misconduct by prosecutors will likely never be known, the assessment is the most complete yet of the scope and impact of those violations. Although acknowledging that the instances of misconduct or negligence are not broadly representative of the federal prosecution community, the story paints a picture of increasingly faltering work from prosecutors who are either overworked, under-supervised, or willing to break the rules in order to win. Records from the Justice Department’s internal ethics watchdogs show the agency has investigated a growing number of complaints by judges about misconduct they observed. In 2001, the department investigated 42 such complaints; last year, 61. The department will not reveal how many of those prosecutors were punished because, it said, doing so would violate their privacy rights. USA TODAY, drawing on state bar records, identified only one federal prosecutor who was barred even temporarily from practicing law for misconduct during the past 12 years. This week: cold, hard cash for debt-laden prosecutors and public defenders; USA Today smacks down US Attorneys; legal services funding needed in the Lonestar State; four years in jail without a trial because the state can’t fund a public defense; LSC’s doing some financial oversight; law students aiding servicemembers who are about to be deployed (well done! ); mandatory pro bono for Mississippi lawyers(? ); legal services funding found for the Lonestar State (good timing! ); national poverty data are out, and opponents of poverty are not going to like the news; the strain on legal services in Tennessee; LSC’s looking for a president; do prosecutors wield too much power at the expense of judges? 9.23.10 – the Blog of the Legal Times reports that long overdue funds from the John R. Justice Act, a loan repayment program for prosecutors and public defenders authorized in 2008, will finally begin flowing to beneficiaries throughout the nation. 9.22.10 – in the Cherokeean Herald of Texas, state supreme court justice Nathan L. Hecht reviews the recession’s impact on low-income Texans, highlights the dramatic declines civil legal services funding that limit providers’ ability to serve a swelling client base, and calls on the state legislature to once again appropriate funding in support of legal services. 9.21.10 – the Southern Center for Human Rights has run a piece by E. Wycliffe Orr, an attorney and former elected official in Georgia, about the alarmingly protracted murder prosecution of Jamie Ryan Weis in the Peach State. Weis, who qualifies for indigent defense, has been incarcerated in a county jail for four years, largely on account of funding shortages that have prevented counsel from staying on to handle the complex case in its entirety. He has attempted suicide three times while in jail. After a great deal of litigation on the state level, Weis has appealed to the U.S. Supreme Court, asking it to, in Orr’s words, “decide whether poor people accused of crimes have a right to continued representation once their lawyers are thoroughly familiar with their cases and attorney-client relationships of trust and confidence have been established. He also asked the Court to decide whether the State could pursue the death penalty even if it was unwilling to provide legal representation for the person whose life it seeks to extinguish.” Orr has joined with other practitioners to file an amicus brief in support of Weis’s position. The PSLawNet blog shed light on the Weis case in a post last May, and we followed up with more coverage in July (see item 4). 9.21.10 – a press release from the Legal Services Corporation announces “members of a Special Task Force on Fiscal Oversight charged by the Board with reviewing LSC’s fiscal oversight responsibilities and how LSC conducts fiscal oversight of its grantees…. The Board approved the Task Force’s formation on July 21 and the above members were announced at the Board’s meeting today. Chairman Levi said he may announce a few additional members in coming weeks. The Task Force’s report and findings are expected in the Spring of 2011. The Task Force will operate independently of LSC, but is authorized to conduct its work with any necessary support from the LSC staff and to engage consultants with the approval of the Board Chairman.” LSC had been the target of a critical piece put out by the Center for Public Integrity on July 15, which questioned oversight of LSC funds once disbursed to grantee organizations. 9.20.10 – the Jacksonville Daily Record reports on two students at the Florida Coastal School of Law who successfully hatched a project to provide free legal services to military reservists preparing for deployment and trying to get wills, powers of attorney, healthcare and other issues squared away. The project resulted in collaboration between Florida Coastal, the Jacksonville Bar Association, and Jacksonville Area Legal Aid, as law students and attorneys met with their clients at a free clinic held on the 9th anniversary of September 11th. This is just one more example of work done by law students who themselves wish to serve current and former servicemembers. For example, see the PSLawNet Blog’s story from last August about Project Salute, run by the University of Detroit Mercy School of Law. 9.19.10 – Mississippi’s Clarion Ledger reports on a proposal being considered by the state’s high court “that would require lawyers to provide at least 20 hours of free service to the poor each year.” There is debate within both the Mississippi bar and the legal blogosphere (see this Wall Street Journal Law Blog post) about whether or not traditional volunteer service can/should be made compulsory. This question stems from the release of a report, The Unmet Civil Needs of Low-Income Mississippians, by the Mississippi Access to Justice Commission. The report outlined “difficulties people encounter in gaining access to civil legal representation…. Between a third and half of those who apply for legal aid are turned away…. About 550,000 poor people are eligible for services, and about 30 legal services attorneys are available in Mississippi.” The mandatory pro bono requirement doesn’t appear to be a specific recommendation made in the report, but rather one among many options the Supreme Court is considering to narrow the justice gap. Here’s a Clarion Ledger article on the report’s release. 9.17.10 – a press release from the Texas Access to Justice Foundation trumpets good funding news: TAJF is among five other legal services organizations which will share in a $2.6 million cy pres award intended to benefit advocates for the disabled. A recent PSLawNet Blog post provides more detail, and here’s coverage from the San Antonio Business Journal and the Austin Business Journal. 9.16.10 – the Washington Post covers the release of census data showing that, in 2009, “the ranks of the American poor soared to their highest level in half a century and millions more are barely avoiding falling below the poverty line.” One in seven people “lived last year in homes in which the income was below the poverty level, which is about $22,000 for a family of four.” The article goes on to cover the political back-and-forth about government’s role and effectiveness in fighting poverty during a recession. (Nothing like think-tank quotes to put things into perspective!). Also see the PSLawNet Blog’s coverage of the new poverty data, with links to other news outlets. Finally, the Legal Services Corporation issued a press release to put the data into context regarding civil legal services: “Nearly 57 million Americans now qualify for civil legal assistance from the Legal Services Corporation, an increase of 3 million from 2008, and the highest number of people eligible for legal aid in our country in the Corporation’s 35-year history. Of the 57 million, 19.6 million were children, the Census Bureau said.” LSC will be lobbying Congress and entreating the private sector to provide funding and pro bono support. 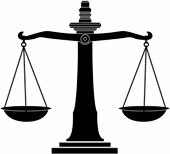 9.10.10 – in an Anchorage Daily News opinion piece, former Alaska attorney general John Havelock notes that prosecutors, who shoulder enormous responsibilities in the operation of the justice system, also have extraordinary power that can be dangerous to the system if it is unchecked. Havelock supports political appointments of prosecutors rather than elections because “campaign contributions lay a hand on the scale of justice.” He also supports “enhancing the discretionary power of the judiciary” so that prosecutors do not wield so much influence in all facets of criminal proceedings, from charging decisions through sentencing. Penn State Law School Takes Human Rights to the Tube! “What?” is what you’re asking. We couldn’t think of a pithy blog title so we went with alluringly vague. Penn State Law School is rolling out a TV series that will feature legal luminaries and human rights experts staging mock trials to introduce all kinds of audiences – from high-school students to practitioners – to some of the thornier human rights issues being debated today. Penn State Law School created the series in partnership with the School of International Affairs and Penn State Public Broadcasting. The goal is to stage mock trials that examine complex international human rights issues. The episodes will be broadcast by WPSU and available to schools around the world to use in their classes. Penn State law faculty member Randall Robinson, creator of the show, said he thought it would be a good way to use compelling television to bring complex issues that aren’t closely followed by the general public to the public. The idea is to present the program to juries around the world and promote discussions about the cases and the verdicts. Background information will be available on the Web, and plans are being developed to add educational material to the web-site that could be used in high school and college classes. The pilot episode of “World on Trial” features Cherie Booth Blair (wife of former British Prime Minister Tony “Mr. T” Blair, and a renowned lawyer in her own right) as a judge, and Harvard Law Professor Charles Ogletree. The trial focuses on whether a French ban on head scarves in public schools interferes with rights to free expression. This sounds like a terrific idea to us, particularly if Penn State is able to develop supplementary educational resources that would aid younger students in following the issues at trial. Last week the Texas Access to Justice Foundation, along with five legal services organizations that do disabilities rights advocacy, received a record $2.6 million in cy pres funds left over from a class action in the Lonestar State. The class action suit itself was a disabilities rights case; plaintiffs argued that a requirement that disabled Texans pay for their own blue disability parking cards – the kinds that are displayed by drivers when they park – violated the Americans with Disabilities Act. Even better news for disabilities rights advocates is that the $2.6 million flowing into the legal services community is only a fraction of a larger $9 million+, the balance of which will go to other nonprofits serving those with disabilities. Here’s a press release from the Texas Access to Justice Foundation, and here’s coverage in the San Antonio Business Journal. 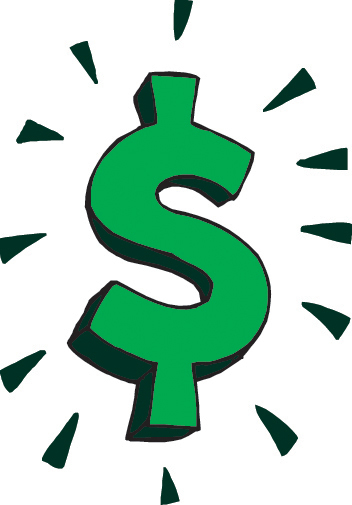 For those law students wondering about how much cy pres awards help the civil legal services community, the answer is that they can be tremendous boons in terms of allowing organizations to shore up or to expand their services – which may include hiring new lawyers (hint, hint). On the other hand, cy pres awards are unpredictable, and thus can not be relied upon as consistent revenue streams. We’ve covered some past instances of cy pres awards benefiting legal services providers, including this recent development in Maryland, and a cy pres award in California.